Robert Fenwick Lipsett (whose name I love, by the way) was born on January 23, 1866 in Manchester, Guysborough County, Nova Scotia, to Robert Bruce Lipsett and Christina McMaster. He was the fifth of eight children and the third son. Robert married Sarah Sophia O’Brien (who went by her middle name) on January 18, 1893 in Manchester by a Methodist minister. Prior to marrying Sophia, Robert was a member of the Church of England, like his father (his mother was a Methodist). Sometime between 1901 and 1902, the Lipsett family moved to Guysborough, where Claude was born. One by one, each child grew up and moved away, Claude being the last in 1923. With an empty nest, Robert and Sophia moved to Halifax, Halifax County, Nova Scotia, sometime between 1921 and 1932. On July 23, 1932, Sophia died at home (110 Chiebrieto Road, Halifax) of chronic valvular [something?]. It doesn’t seem that Robert stayed in that home alone very long. By 1935, he was living with his daughter Eva Atwell, at least part of the time. There are some passenger lists that show him traveling from Halifax to Boston or the Port of Calais, Maine, so perhaps he went back and forth with the changing of the seasons. After all, his daughter Beryl still lived in Nova Scotia. I was excited to find Robert listed on the 1940 Census as part of a three-generation household in Lynn, MA: himself, his daughter Eva & her husband Thomas F. Atwell, and his grandchildren Thomas II and Eugenie (with her husband George Edmund Pleau). The household became four generations in late 1941 when my father was born, and Robert rejoined the family from Nova Scotia in October. Eventually, Robert’s Nova Scotia home became Manchester again. The end of Robert’s life was similar to so many in their advanced years. On November 21, 1847, he fell down the stairs at home in Manchester and suffered such trauma to his spinal cord that he became a paraplegic. He spent the rest of his life in St. Martha’s hospital in Antigonish, Nova Scotia, finally passing away on February 19, 1948. He was buried with his wife and two small children in Evergreen Cemetery, Aspen, Nova Scotia. Although my great-grandmother Eva (Lipsett) Atwell died before I was born, two of her four siblings’ lives overlapped mine. The first was Beryl Sophia Lipsett, who was born on January 17, 1896 in Guysborough, Guysborough County, Nova Scotia. 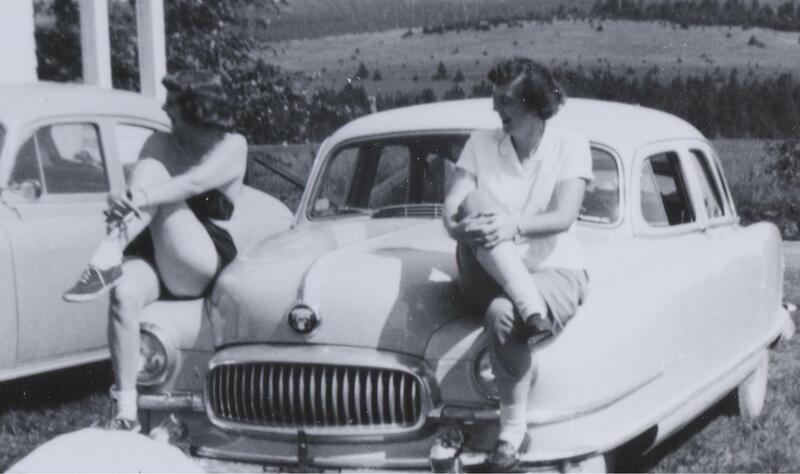 Beryl never married, but later became a principal of a school in Stewiacke, Nova Scotia. 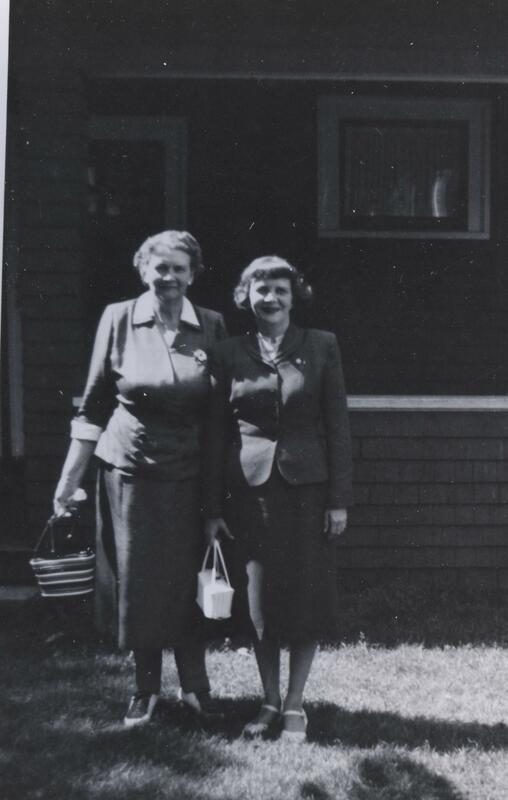 She maintained her ties with her sister Eva and Eva’s family as she seemed to visit Lynn, Massachusetts just about every Christmas in the 1930’s. Although she died on March 11, 1971, I have no specific memories of Beryl. She is buried at Evergreen Cemetery, Aspen, Guysborough County, Nova Scotia, alongside her parents, Robert Fenwick Lipsett and Sarah Sophia O’Brien. Beryl Lipsett + Eugenie (Atwell) Pleau, 1953. Author’s collection. The next two children died so young, there are barely any records of them. Leona Carolyn Lipsett was born in 1898 and died in 1900. I couldn’t find any birth or death records for her online; the only evidence I’ve found of her is her burial with her family at Evergreen Cemetery. William Croft Lipsett was born on August 29, 1900. Like Leona, I could not find a birth or death record. William was actually recorded on the 1901 Census, but died three years later in 1904. He, too, is buried at Evergreen. Snippet of William Croft Lipsett in 1921 Canada Census. Courtesy ancestry.ca. The baby of the family was Claude Stanley Lipsett, born December 18, 1902 in Guysborough, Nova Scotia. According to the 1940 U.S. Census, he completed four years of high school. Not long after he finished school, Claude sought other opportunities where his oldest sister lived. In 1923 he immigrated out of Port of St John New Brunswick and headed to Boston. He later married fellow Nova Scotian Clara MacWhinnie about 1928. Claude and Clara lived in Lynn, and Claude worked as a machinist in a die manufacturing company. For some reason, they had no children, but they were definitely involved in Eva’s descendants’ lives. I remember Claude especially at my grandmother’s (his niece) Christmas parties. What I remember most about Claude that he was very hard of hearing (maybe due to his work? ); we always had to shout at him to be heard. His wife Clara passed away in 1976, but Claude lived on for many years until February 27, 1991. Both are buried with her parents in Pine Grove Cemetery in Lynn, Massachusetts. 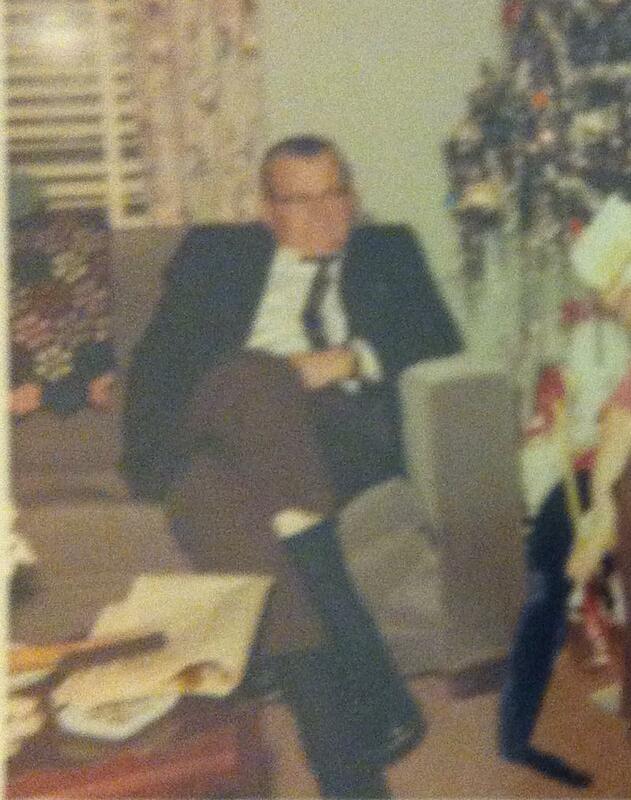 Claude Lipsett, 1965 (sadly, the best picture I have of him). Author’s collection. Every Fourth of July, I try to make it out to Norwalk, CT’s annual “Let Freedom Ring” ceremony at the old Town House at Mill Hill. Out of all the Independence Day celebrations, this one is most true to the real meaning of the holiday. It is celebrated every year nationwide (although it is not formally organized) as a result of a Concurrent Congressional Resolution that can be read here (see the top of the linked page). Every year, it’s a little different; sometimes more elaborate than others. 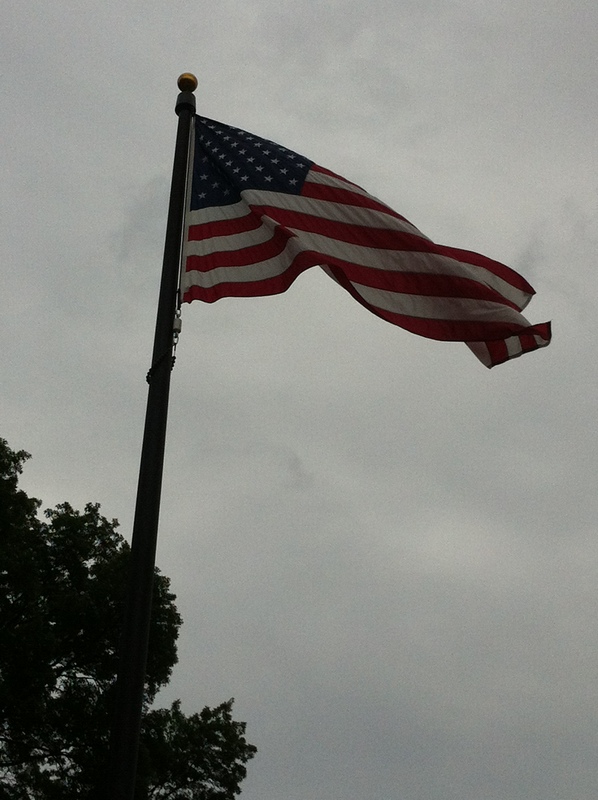 This year was rather simple, but faithful to Independence Day. Diane Jellerette, Executive Director of the Norwalk Historical Society, welcomed everyone to the annual “Let Freedom Ring” bell-ringing ceremony. She reminded us of how our own city of Norwalk was involved in the Revolution during the Battle and subsequent Burning of Norwalk, where General Tryon only left about 6 homes standing of nearly a hundred that were in town. Ms. Jellerette welcomed the many city and state officials that were in attendance. Mayor Harry Rilling said a few words, proudly declaring that, “America is, without a doubt, the best country on earth.” He reminded us of the phrase “with liberty and justice for all” from the Pledge of Allegiance we recited earlier applies now more than ever to all people. 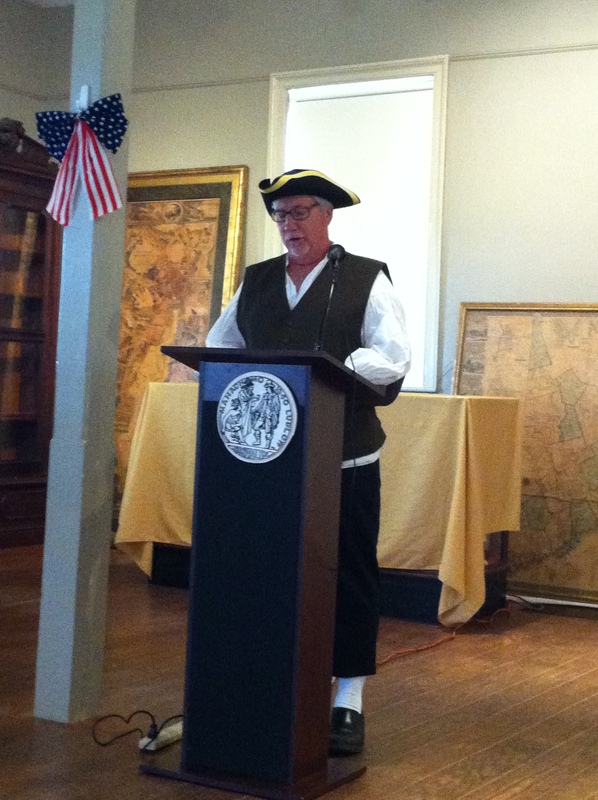 Dressed in colonial garb, Town Clerk Rick McQuaid had the honor of reading excerpts of the Declaration of Independence (to be honest, I believe he read the whole thing). 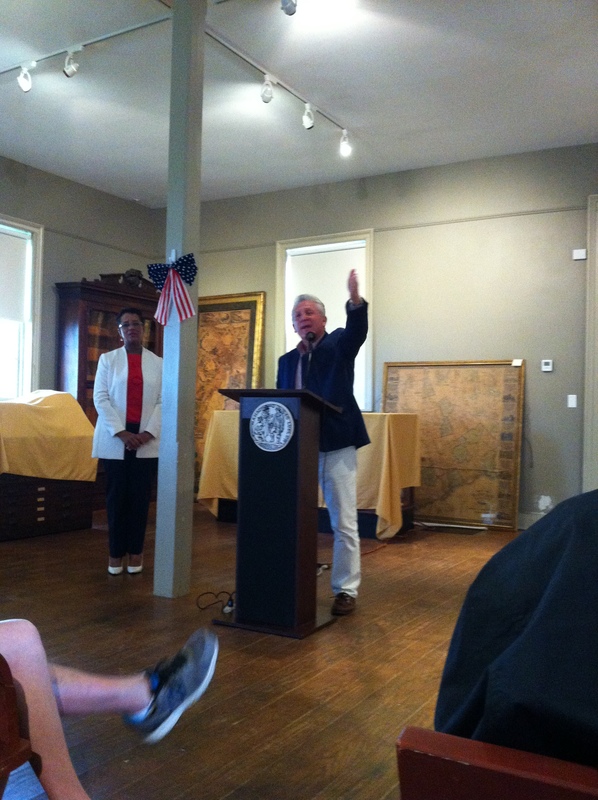 Town Clerk Rick McQuaid reads the Declaration of Independence. Author’s collection. What followed was a beautiful, pitch-perfect rendition of the “Star Spangled Banner” by Catherine Robinson of Norwalk’s Crystal Theatre. Many couldn’t help but join in as the song progressed. Catherine Robinson, singing the National Anthem. Author’s collection. 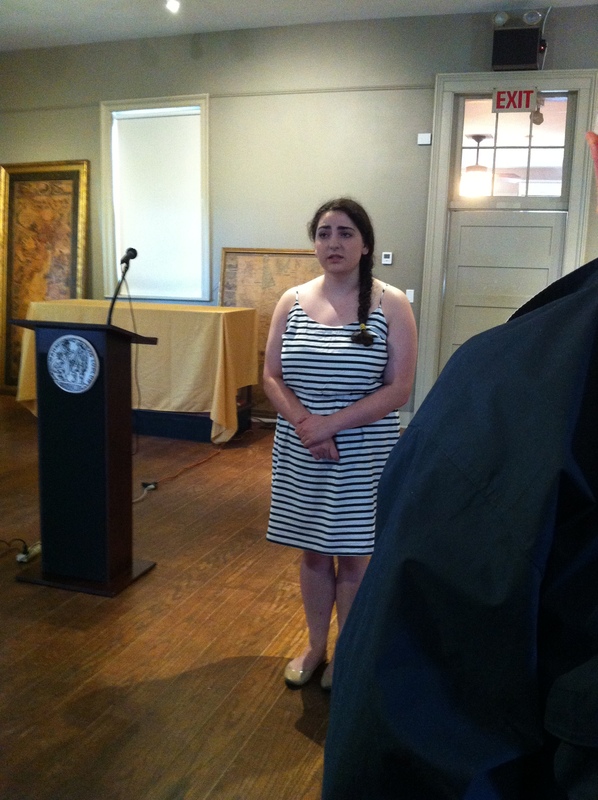 The ceremony concluded as Ms. Jellerette explained that the Town House will shortly be undergoing a renovation. 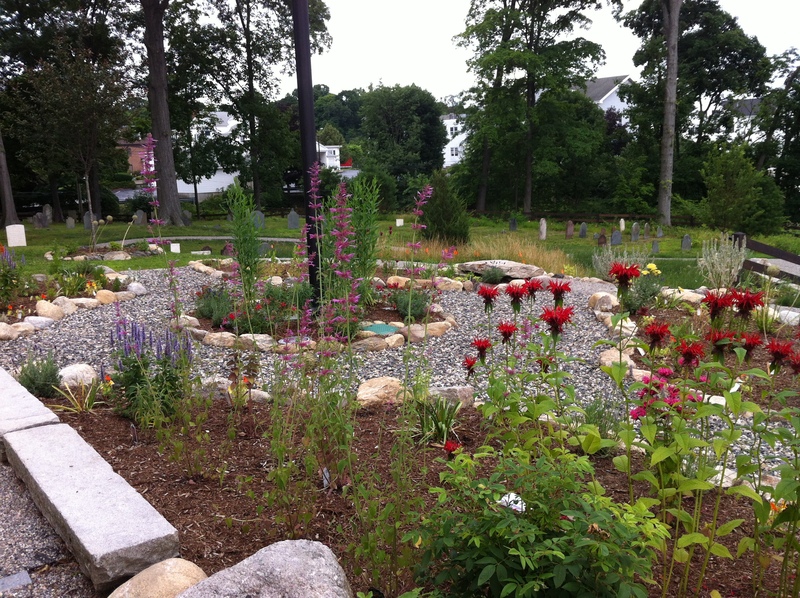 Just recently, the grounds of Mill Hill were renovated to include a walkway and an herb garden, which she invited all to check out. And in the fall, a new Norwalk Museum will be opening up on the same grounds as City Hall after being out of commission for quite some time. There is much to look forward to regarding Norwalk history! New herb garden at Mill Hill. Author’s collection.